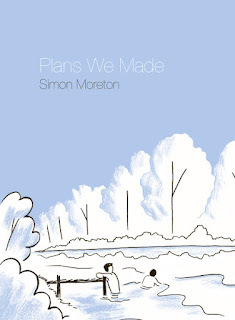 Plans We Made by Simon Moreton- "We were sure we'd never see an end to it all"
On his website, Simon Moreton has a great explanation for Plans We Made: “It’s about being young, but probably about being a grown-up, too.” Looking back at his youthful summers, beginning when he was only twelve, Moreton keeps his storytelling so simple and elegant that it makes his experiences very universal. His own childhood is tied to South East London in the late 1990s but Plans We Made is not about any specific place but more about the experience of being a kid and having the world be as big as the neighborhood around you. Telling stories of being young, hanging out and having days of no worries other than what he’s going to do that night, Moreton’s book is a languid piece about times that feel like they’re always on the verge of ending. “Nothing gold can stay” as the poet says but Moreton and his friends, like so many kids before and after them, are existing merely in the moment. And Moreton, with his sparse narration and wonderfully gestural drawings, makes these moments that you can linger on and recall your own similar experiences. 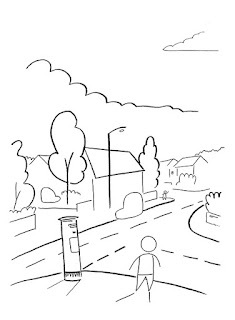 "We used to meet at the postbox by the cornershop." Moreton isn’t trying to recreate his own experiences in any great detail but, his storytelling suggests more the essence of his teenage summers. Of course, the simpleness of the story may be a universal nostalgia for our own teenage years. His drawings, more impressions of memories and events, lack any details that creates any specificity but, it allows you to fill in the people and events with your own friends and memories. And maybe it’s a universality of suburban childhood but that simpleness in the story transverse a continents and decades. The way that Moreton illustrates these moments of his teenage life are wonderfully suggestive and open. His loose, sweeping lines adds to the unending feel of his summers. The abstract spaces he creates are without boundaries so that the world feels large and full of possibilities. 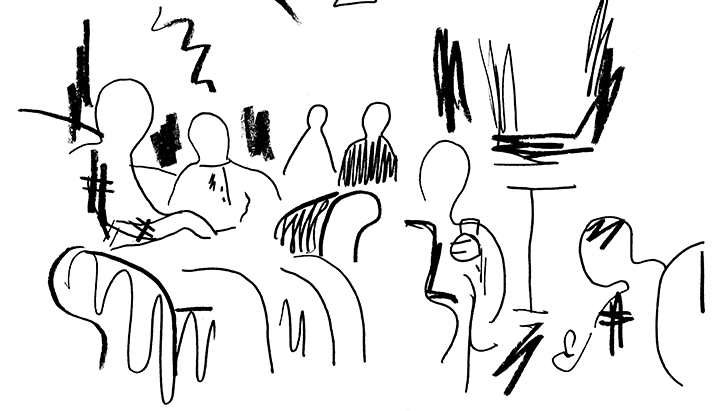 But his drawings are suggestive enough though to make the experiences in those spaces feel authentic and contained. Even though the world feels wide open, there’s only so much freedom that can be experienced and Moreton’s drawings capture that conflicting expanse of possibilities and the limits of experience. And like all good stories about growing up, there has to be the loss of innocence. There are many ways for it to happen but for a book so aware of its environments, its Moreton’s final September at home in 2001, that becomes that moment. For so much of Plans We Made, the space and environment he creates is about his specific small plot of his planet. It’s a suburban existence that doesn’t look at any kind of life beyond the suburb. At least it’s that way until the world forces it not to be. And it’s a great and surprising shift because Moreton brings that exact moment back for his readers as well. Just like the shape and form of the world didn’t change, Moreton’s drawing doesn’t change but your experience of everything before September 11th and everything after is changed in that moment. For as much that didn’t change, there are also ways that everything changed. 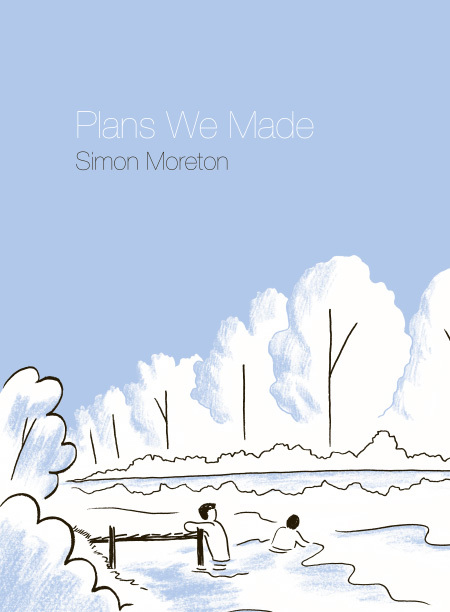 Simon Moreton’s Plans We Made is a book about growing up at a time when the world drastically changed from what it was into what it is now. It’s a book about remembering what life was like in more innocent times. 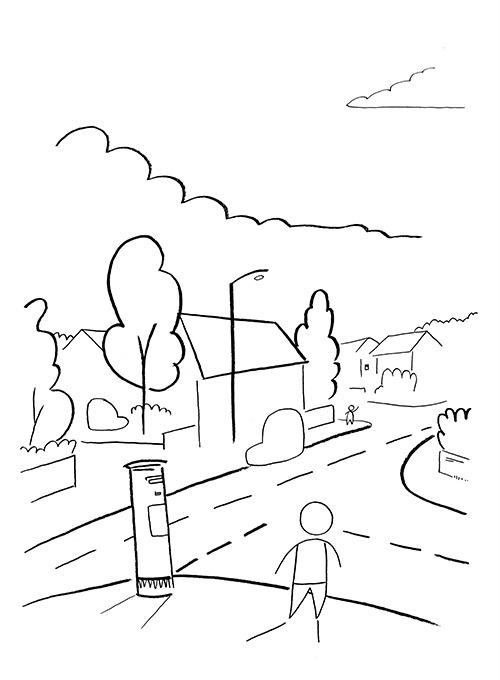 Moreton draws a comic that’s about memories. 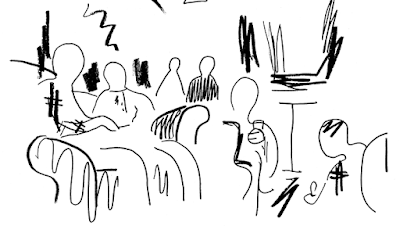 They may not be your memories but the way he abstracts the moments, they become shared experiences that even if the specifics aren’t the same, the general impressions and emotions stirred up by his drawings strike universal chords.